Adrift in space with no food or water, Tony Stark sends a message to Pepper Potts as his oxygen supply starts to dwindle. Learn More About Leo Mania! From teenage heartthrob to Oscar award-winning star, Leonardo DiCaprio has won the affection of all. We’re excited to watch some of his greatest films April 25-28 on the big screen. Experience the life-saving superpowers and extraordinary bravery of some of the world's most amazing dogs. In this inspiring true story, our best friends are also real-life superheroes. The Wizarding World returns to the Warner Bros. Theater at the National Museum of American History. Follow our social accounts for more information to come. Astronauts Neil Armstrong and Buzz Aldrin embark on a historic mission to the moon in 1969. Amazingly authentic, the film "open land" offers an unforgettably intimate portrait of it's protagonist, jazz legend John Abercrombie who died in August 2017. This wonderful encounter is as poetic and atmospherically dense as Abercrombie's music. In preparation for the moon landing in 1969, NASA sent a team of astronaut to the lunar landscapes of Iceland. Their hi-tech training mission soon discovers what obstacles one can meet when facing an Icelandic sheep farmer. The Smithsonian's two IMAX® theaters are the largest and most technologically advanced theaters in the Washington, D.C., region! Offering dual 4K laser projection and 2D and 3D presentations, our giant-screen films that measure up to 6 stories tall offer a truly remarkable and immersive movie-going experience. The Einstein Planetarium at the National Air and Space Museum is the only full-dome cinema in Washington, D.C. Audiences can journey through time and space to view some of the most extraordinary images not viewable to the naked eye. The Warner Bros. Theater at the National Museum of American History provides our most intimate and personal experience to date, and offers state-of-the-art digital 2D and 3D and 35mm film presentations. 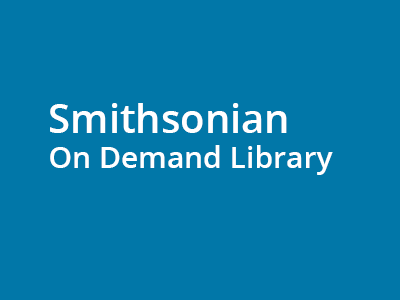 Plan your visit or find further information about Smithsonian Theaters on our FAQ page. Sign up for our newsletter to get updates on upcoming films and events. Follow us on Facebook, Instagram, and Twitter! Choose a film from the IMAX or Planetarium library and screen it before the museum doors open to the public. There are no more showtimes for this movie today. Please view the movie page for more information.